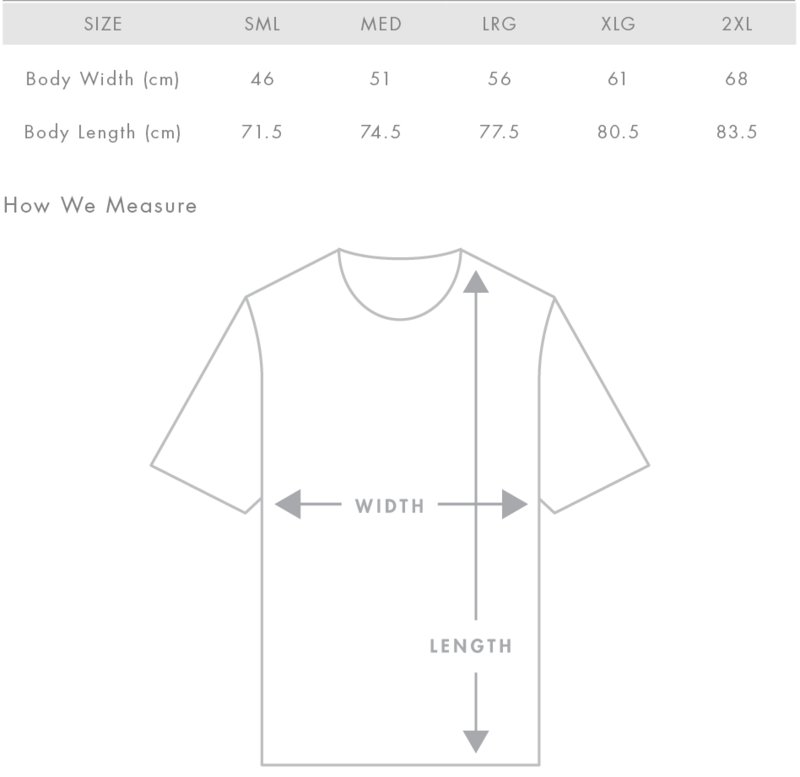 We're currently printing our most recent run of orders, scheduled for delivery late September. 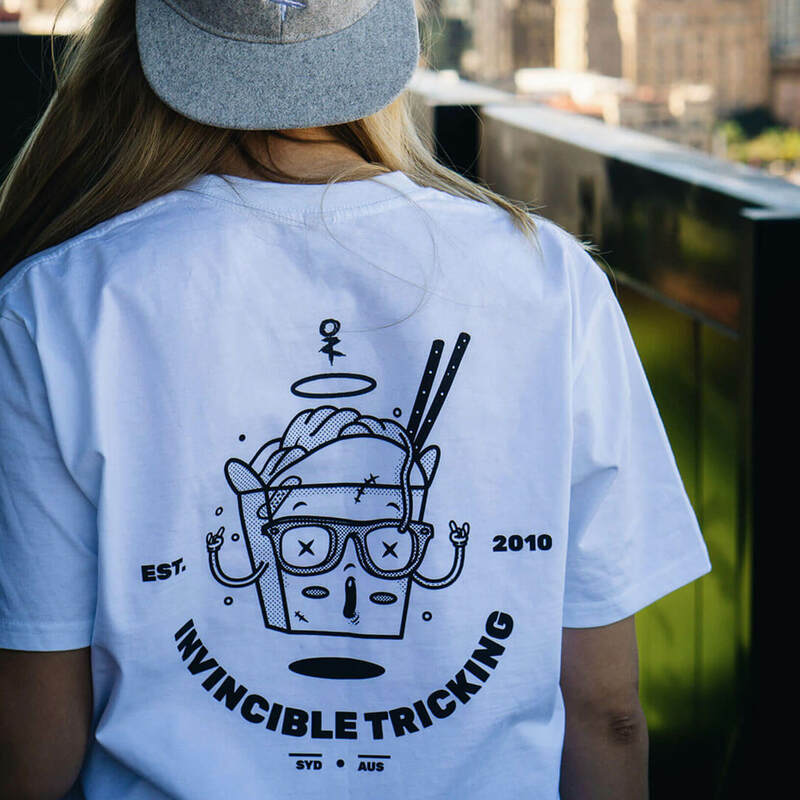 Sit tight, we'll have stuff back available in stock very soon! 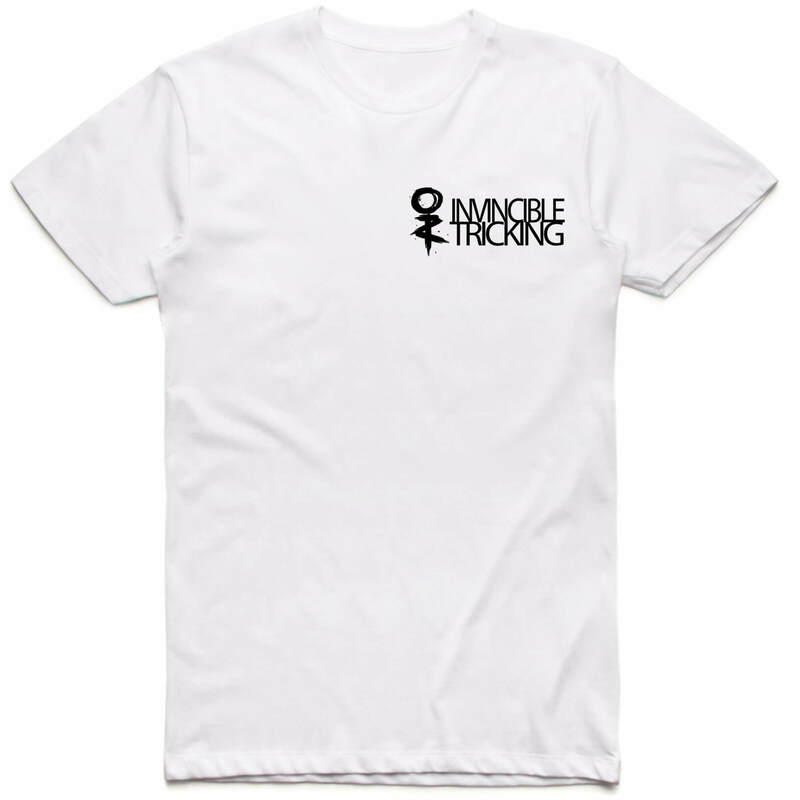 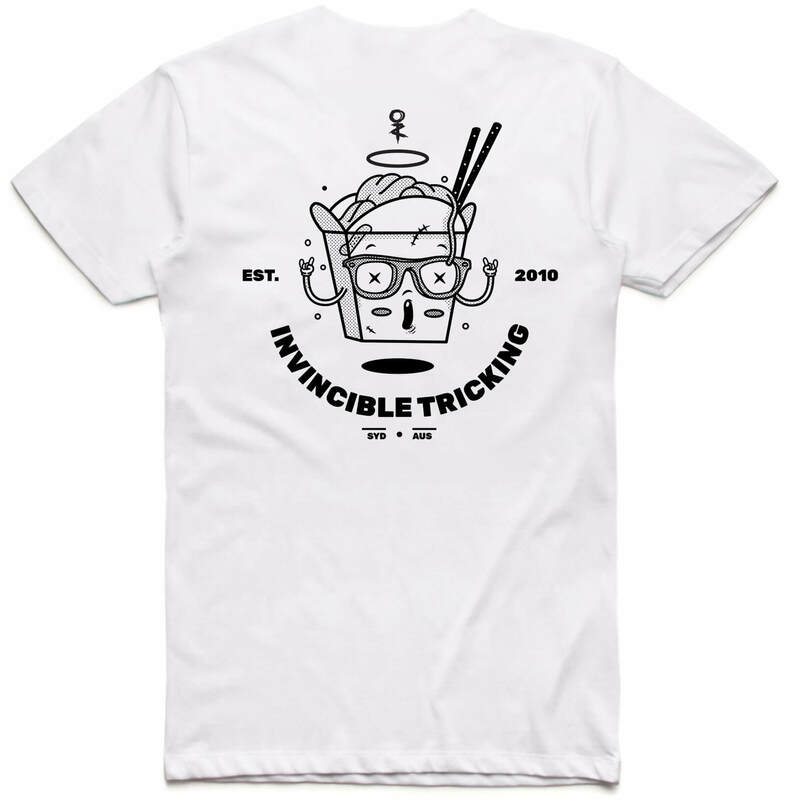 Print is on the back of the tee, with a minimal Invincible Tricking logo on the front left.